The presence of a large body of iron ore at the Iron Duke had been widely known since 1901, when Jaquet described it as the most extensive deposit in the state. 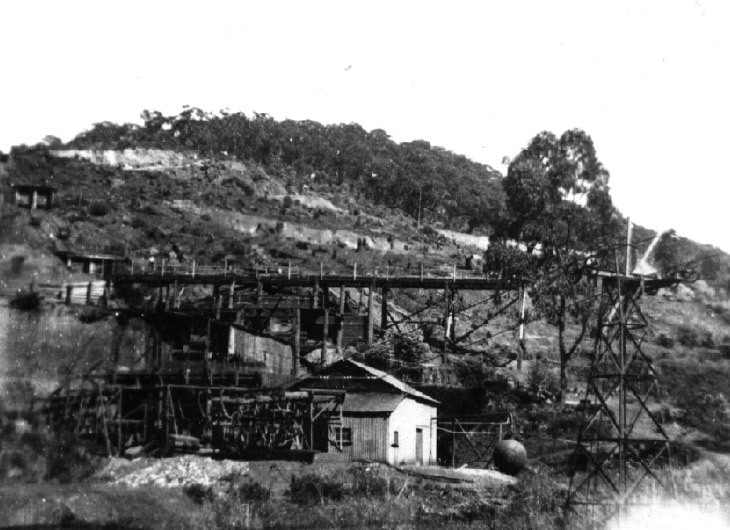 William Sandford Ltd, the builders of the steelworks at Lithgow, had taken a lease from the Cadia Copper Mining Company to mine the ore on the Iron Duke lode, but had not used it. G & C Hoskins, who took over the Sandford Works, made arrangements to mine the Cadia iron ore. A sub-lease for £1,000 per annum with a royalty of 6 d per ton was signed with the Cadia Copper Mining and Smelting Company. By 1919 the railway from Spring Hill was complete and G & C Hoskins had also built a powerhouse and aerial ropeway to directly connect the quarry with the rail sidings. About 130 men were employed. 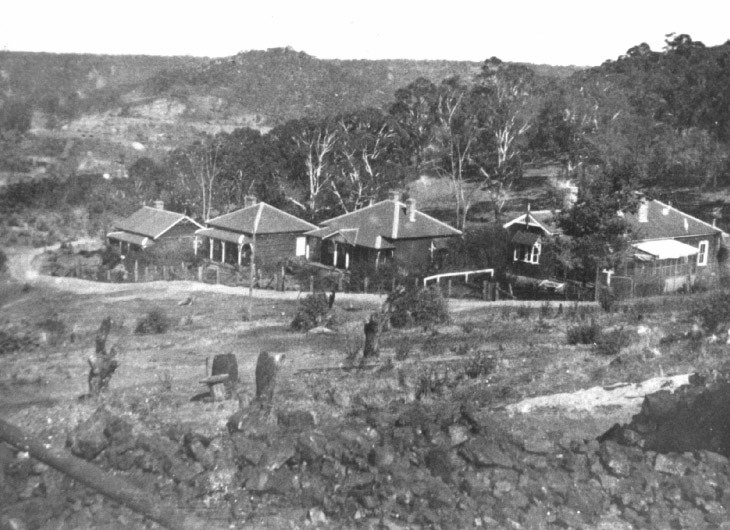 In 1921, G & C Hoskins was the sole producer of pig iron (990,053 tons) in New South Wales, obtaining ore from their quarries at Coombing Park, Cadia, Breadalbane and Tallawang. On 10 March 1921, an accident with explosives killed nine men out of a total workforce of 160 men at the Iron Duke Mine. By 1927 only the quarry at Cadia was open, the other quarries having been closed down and machinery removed. In November 1928 the blast furnace at Lithgow closed and operations were transferred to Port Kembla. The transfer to Port Kembla put 200 men out of work at Cadia. The ore crushing plant at the base of the Iron Duke and the commencement of the aerial ropeway to transfer the iron ore to the rail siding. Note the inclined plane on the left, with wagons bringing the ore from the benches of the iron ore quarry (French Collection). The massive concrete foundations for the head of the aerial ropeway are visible on the left, while the ore hopper is in the background. 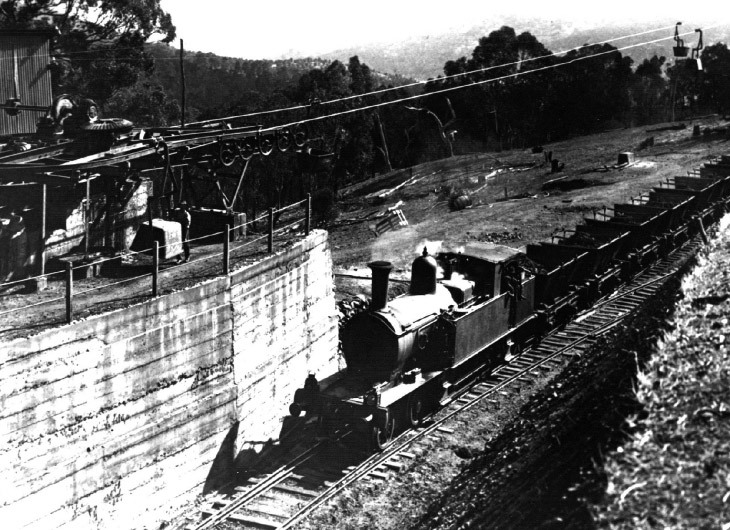 An engine stands ready to shunt wagons under the ore hoppers to receive their full load for transfer to Spring Hill and the main rail line to Sydney (French Collection). 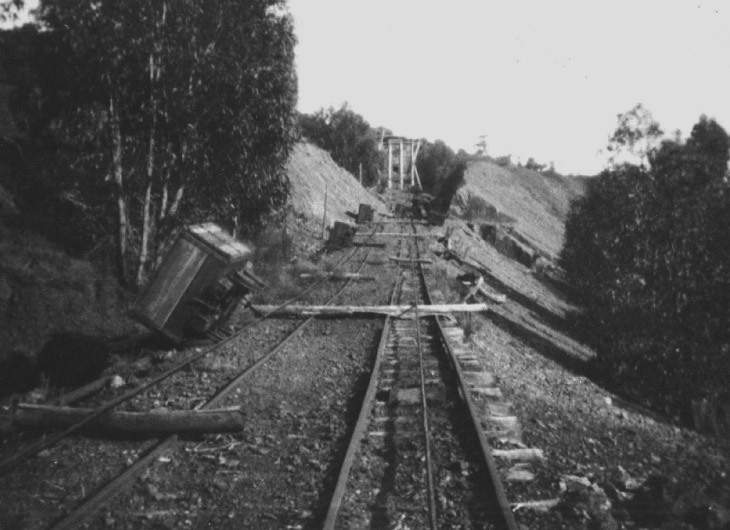 A second inclined plane was necessary to transport the ore from the upper benches of the Iron Duke to the crushing plant. The wagons lie abandoned beside the tracks in this photograph, which was probably taken to assess the condition of the infrastructure of the Iron Duke, prior to recommissioning during World War II (French Collection). G & C Hoskins built new housing for staff just below the railway sidings, one indication that the facilities in Cadia Village were no longer able to provide adequate housing for the workforce (French Collection). 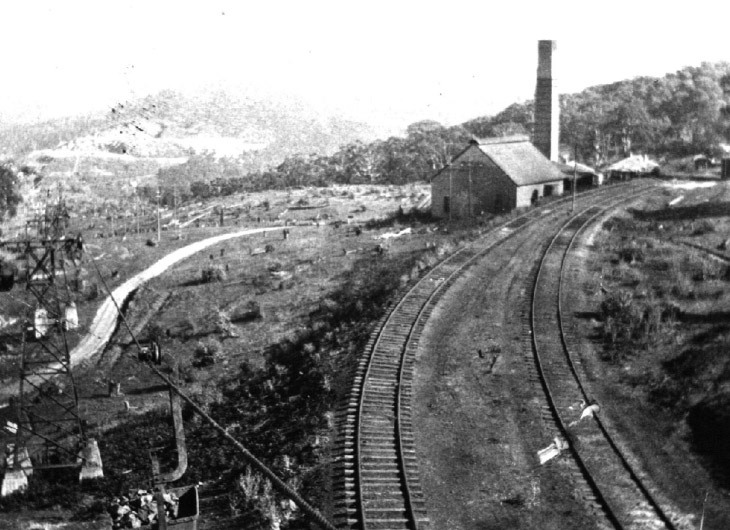 Taken from the ore hopper at the rail siding and terminus, this photograph shows the newly erected powerhouse and the aerial ropeway that transported the ore from the Iron Duke in the background (French Collection).